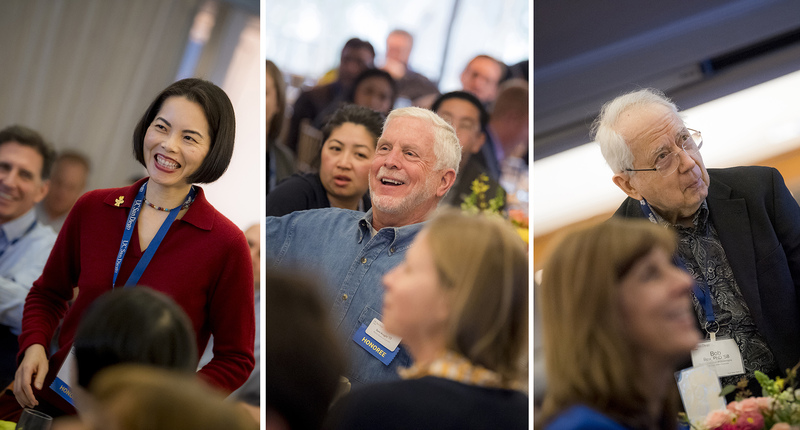 On Feb. 1-2, UC San Diego alumni from across the country were invited back to campus for the Triton Leaders Conference, a two-day event that included keynote talks, interactive networking sessions as well as the True Triton awards ceremony. 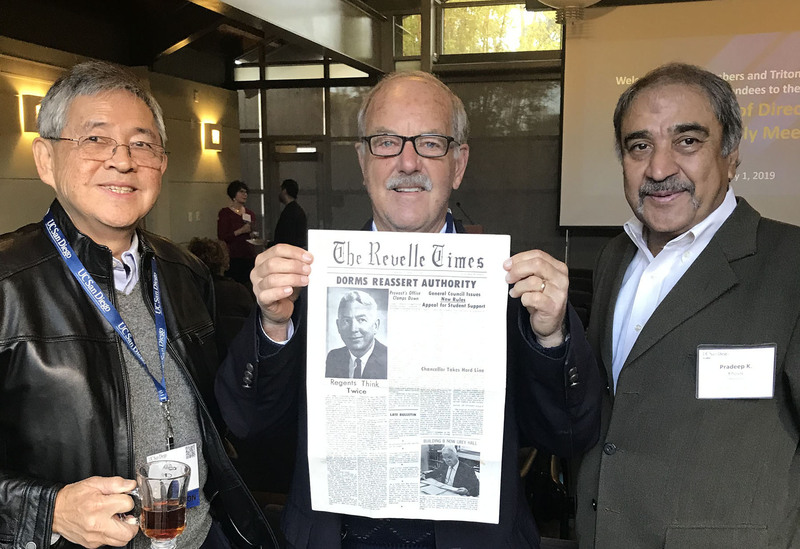 James Poirier, center, was among the first graduating class of UC San Diego in 1968. 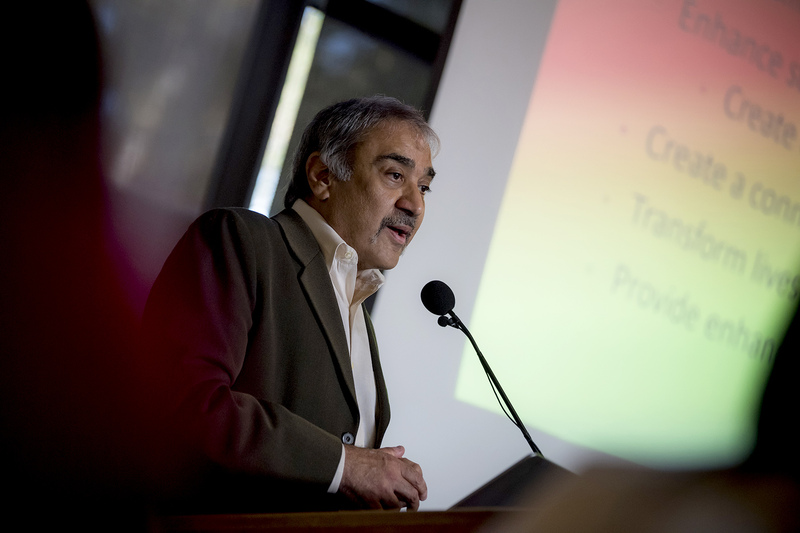 Chancellor Khosla also congratulated this year’s True Triton Award recipients. The annual honor from UC San Diego Alumni recognizes members of the Triton family who have gone above and beyond in giving back to the university. Recipients included: Sam Knight, ’73, a longstanding campus champion whose service includes UC San Diego Alumni Board vice chair and past chair of the Jacobs School Alumni Council; Wendy Kwok, ’99, a UC San Diego ambassador who has made valuable connections for the university as co-chair for the Bay Area Campaign Cabinet and a UC San Diego Foundation trustee; and Robert Rex, ’58, a tireless mentor of graduate students and faculty as a research affiliate in the Scripps Institution of Oceanography Geosciences Research Division. True Triton award honorees Wendy Kwok,'99, Sam Knight,'73 and Robert Rex,'58.